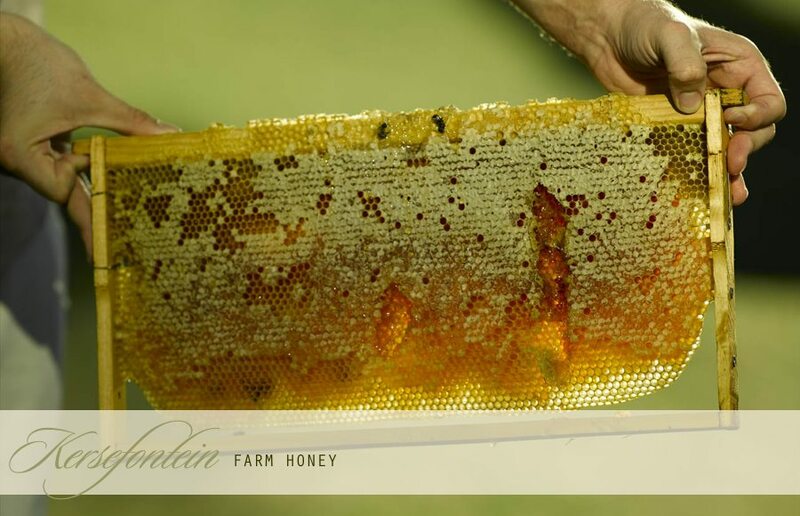 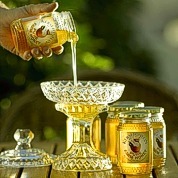 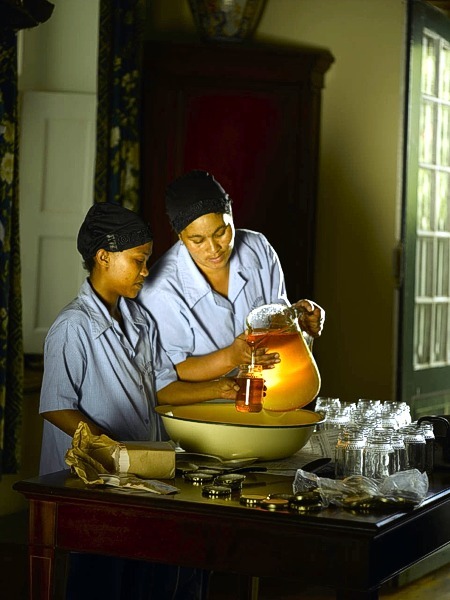 Kersefontein honey is harvested from the hives on the banks of the Berg River flowing through Julian Melck's farm. 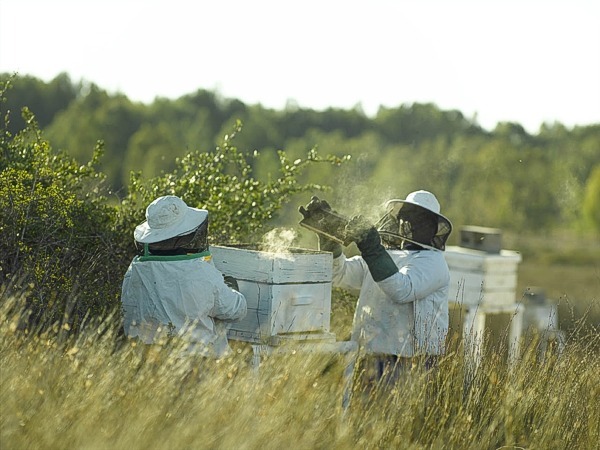 The food for the bees is an exciting combination of wildflowers, which are abundant in the surrounding veld during the West Coast spring, and Euclyptus trees that grow in the estuary of the river. 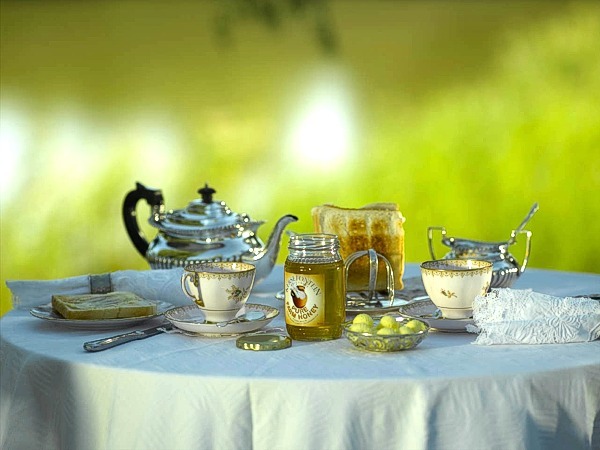 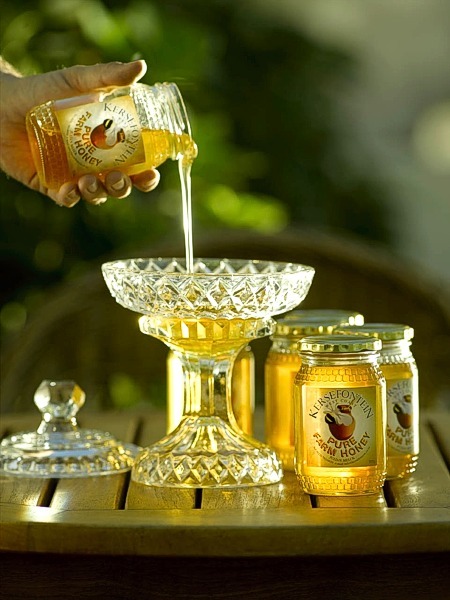 This natural combination of flora results in a marriage of delicate and sweet flavours that gives Kersfontein Honey its unique taste and fragrance. 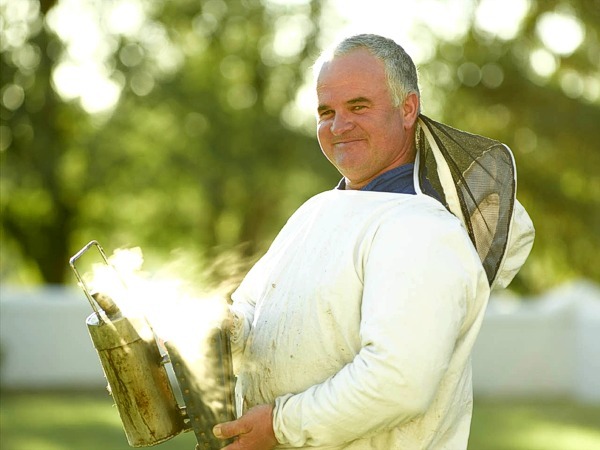 The hives and their swarms are meticulously maintained by bee-keeper Heinrich Grunder, a local West Coast resident, who brings in the harvest during spring and early summer. 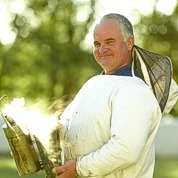 All the hives are certified badger-friendly. 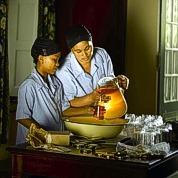 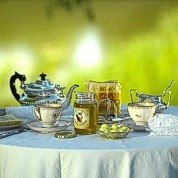 Bottling and labeling of the glass jars takes place on the farm, from where it can be purchased.